Amnesty International says that the US has failed to live up to its promise of openness with Pakistani villagers leaving in constant fear. An unmanned US predator drone. THE OBAMA ADMINISTRATION has failed to deliver on a promise to increase transparency around drone strikes according to Amnesty International. Amnesty says that the US still refuses to divulge even basic factual and legal information about their drone policy and that it is preventing victims of unlawful strikes from receiving any justice or compensation. Amnesty International says that as far as it is aware, no US official has ever been held to account for unlawful killings by drones in Pakistan. Their criticism comes as Amnesty published a detailed report of drone strikes in Pakistan which it says outlines significant evidence that many of the attacks could constitute war crimes. The report compiles evidence on all 45 known drone strikes that took place in North Waziristan on the border with Afghanistan in northwestern Pakistan between January 2012 and August 2013. This area has seen more strikes than any other part of the country including an attack in 2006 that killed at least 82 people, many of them children. During the Bush Administration, the USA indicated that it generally targeted only specific, known individuals on a “kill list”. Under the Obama Administration, there has been an increased use of “signature strikes” – attacks in which the victim’s identity is unknown but their behavior appears suspicious to US security authorities undertaking surveillance of the Tribal Areas. The report claims that local men and women have little control over the presence of groups like the Taliban and al-Qaeda in their villages and districts. It details attacks into the Waziristan areas which killed among others a 68-year-old woman picking vegetables and a group of 18 labourers who were killed when sitting down to dinner in the evening. Amnesty International also documented cases of so-called “rescuer attacks” in which those who ran to the aid of the victims of a drone strike were themselves targeted. In May of this year, US President Barack Obama delivered a major foreign policy address in which he vowed to curtail US drone strikes and close Guantanamo Bay during his second term. Evidence from the The Long War Journal suggests that airstrikes in Pakistan have decreased in 2013 but Amnesty says that the US has done nothing to increase openness about its targeting policies. Amnesty is calling on the US Congress to fully investigate the unlawful killings carried out through the drone programme and to disclose evidence of human rights violations. Email “Amnesty report into US drone attacks raises possibility of war crimes”. 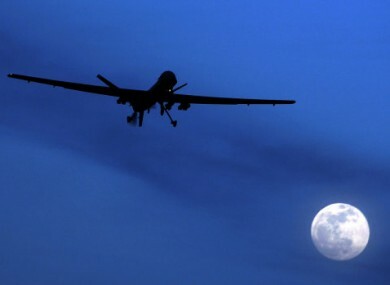 Feedback on “Amnesty report into US drone attacks raises possibility of war crimes”.